Gone are the days when you actually had to wait for them fishes to get trapped in your web that you placed for them. As everything has gone digital, so you need nothing but the power of your fingertips and finder as well. You will find many finders out there that comes with the display, but you will find one such unit that is not only different but works great as a fish finder. So let us introduce the vexilar sp100 that does not need a separate display as it happens to send every detail to your phone. So for this, we have come up with a vexilar sp100 review because it deserves such recognition. Also, if you want, make sure that you check out our vexilar sp200 review. The best thing that actually poked us to come up with vexilar sp100 review is its connection with Wi-Fi. It means the finder uses Wi-Fi to connect to your phone, be it Android or iPhone, it literally gives a damn. 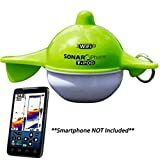 So you can save tons of money if you get this fish finder because all you need to do is have a smartphone to get the detail instead of having the display itself. Hence, once you dip the device into the water, it will turn on and start to connect with the phone within just a few minutes. And the transducer will be connected to the wireless T-box and both of them will be powered by 12v USB connection. As it has got underwater cameras, it will grab all the stuff it sees beneath the water. Moreover, the wireless T-box will track the data to your phone via Wi-Fi and let you start charting or mapping the transducer finding. All of the data will show up on the display of your phone. Smart enough! A transducer is one of the main organs of a fish finder. Its job is to project the images from the water underneath your boat to your phone screen via a sonar beam. And it will work best only when you dip it in water. The detail from the device is transmitted wireless usually through the T-Pod. The beam is also quite important as it determines the overall image which is going to be recognizable. Moreover, it works via single beam with a 30-degree wide angle signaling beam. The transducer is water activated and it has a transmit frequency of 125 kHz. The Vexilar T-POD SP100 comes with high power outputs due to their increased levels of effectiveness. These devices have the capacity to penetrate through the thermocline as well as weeds and they can also get to deeper depths. This device consists of a power output of 400watts on point to point. The great thing about the finder is it shows all the details on your phone. However, to add more, you have the option to choose between a colored and a black and white display type.But like we know, most of the fishers would love to go for the Colored screens as they are way better than just 2 color screen. Moreover, they also can project clear and sharper images. As for the size of the screen, well yes, that matters as well. Since larger views provide easy details so you can look at the tablet if your phone has a smaller screen. Besides, it also has screen controls with LCD screen protectors that avoid the formation of fog on your screen and the straining of the eyes. Another important element about the unit is its portability feature. You can say another reason to have this vexilar sp100 review. While the brand offers greater flexibility, they are also less powerful and performing. And for this reason, they have put the item in the budget-friendly range. Thus many people can take the advantage of the device and check out the wonder themselves. Moreover, this is also designated for kayak fishing enthusiasts or for the people who prefer fishing from the banks rather than going in with a bot. Ideal for small boat fishing like kayak or canoe. Wi-Fi connects the finder to your phone for providing the detail. All you need is a phone screen. Android friendly and iOS friendly. Small compact design for high portability. You can use it in both salt water and fresh water and it can work as ice flasher as well. 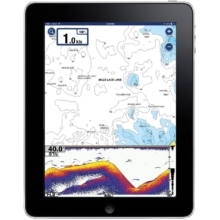 Support with the navionics app. Buttons of the mobile app are pretty hard to read on a smaller display. You cannot replace the battery but can recharge. It might take time for the wireless connection to sync. It might take little time to learn the app. Battery life is not as great as you hope it will. Q: Can you tether the pod to a boat and does the pod float? A: Yes, the pod floats really well. Not only that, it also has a split ring attached to one side which is great for attaching a line to. Moreover, it also works well with just a swivel and line. Q: Can you cast this transducer with a rod and reel? A: Yes, the transmitter will start as soon as the pod touches the water. Q: Can you change the rechargeable battery? A: No, there is no option to replace the battery. Q: Can you connect more than one phone to it? A: Yes, you can connect as many as you want within the range of the Wi-Fi. Q: Do they show a different size of the icon for different size of fish? A: There are no icon features to show the different size of the fish. The screen shows the actual sonar impulses received, in the manner of units used by fishers and mariners. However, you will get a very accurate detail of the objects and fish in the water once you learn to read it. To conclude the vexilar sp100 review, we will just say that this a great piece of fishing. So all in all, this green thing manages to stack perfectly well when it comes to finding the fish. Coming from a very popular manufacturer, you cannot be fishy regarding the quality of their product. And as we have opted for vexilar sp100 review, we are sure that you will be able to know more about the product for the write.